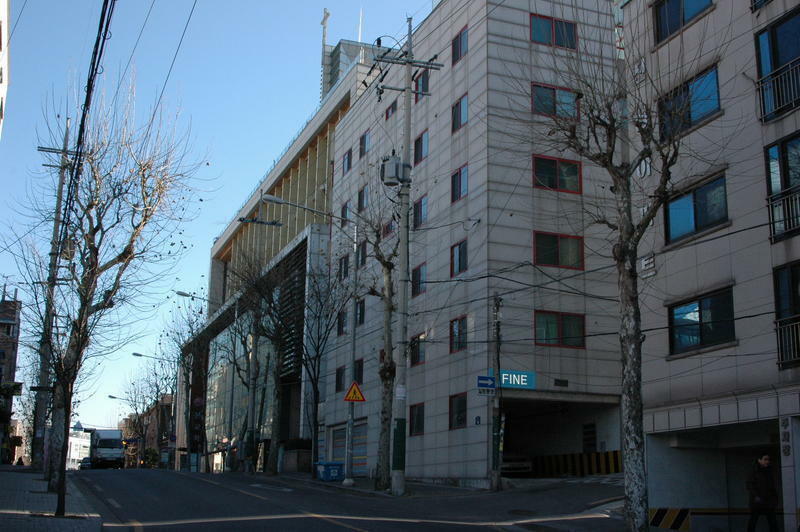 Fine Guesthouse is located at Daehangno, the mecca of culture Performing arts. At Daehangno, as-yet-undiscovered young talents are often spotted dancing, singing, and performing. It is also known as a street of culture and youth, where lots of up-and-coming, talented artists gather to show off their artistic chops. Daehangno means “university road” and around here there’s three universities located. There’s also a lot of cute restaurants and cafes located around Daehangno. There’s supposed to be around 500 cafes located in the Daehangno area. If you want some time to relax just go to the stunning Marronnier Park. Marronnier has an oasis of trees and park benches, artist types just hanging out, amateur performers from good to work-in-progress taking the park’s stage, and even fortune tellers. Grab a bench or some grass, and just enjoy. The park is named from the 80-year-old horse chestnut (marronnier) tree growing in the middle. There are 2 room types in the guesthouse. At this neat little quiet guesthouse, you can feel a home-like atmosphere. Enjoy your stay here with stage plays, musical and cultural performances. Get off at the last stop – Seoul Station. Next go towards the subway trains, make sure to follow the signs that are marked “Line 4″ in light blue colour. Take the Line 4-subway-train heading for Danggogae, the next stop after Seoul Station should be Hoehyeon, then you’re going in the right direction. Get off at Hansung University Station. It should take about 13 minutes to get there from Seoul Station.